Since 1983, Thomas Deans Fine Art has presented fine works of art dating from 1750 to the contemporary. The art showcased includes paintings, drawings, prints, photography and watercolors. 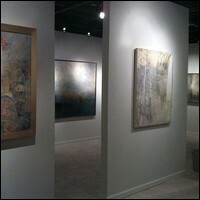 The gallery's inventory consists of works by British, American and European artists. The gallery offers seriously researched and authenticated works to appeal to a wide range of buyers — from individuals with very limited budgets to serious collectors and institutions. Parking: Parking is available at the gallery. MARTA: Take MARTA to Lindbergh Center Station. Out of the station walk north on Lindbergh Lane, and turn right on Sidney Marcus Boulevard. Make a left on Piedmont Road, and turn right on Miami Circle to reach the gallery.